Everything I had ever read, or heard about Savannah was true. Her Southern beauty and charm is like no other. Streets lined with huge Live Oak trees dripping with Spanish moss, one Square after another (22 of them! 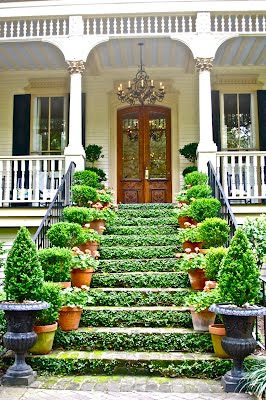 ), all with fountains and/or statues and big, beautiful homes covered in ivy. The history of this place shouts at you from every direction, it's almost overwhelming. I couldn't wait to spend time getting to know this Southern Belle. 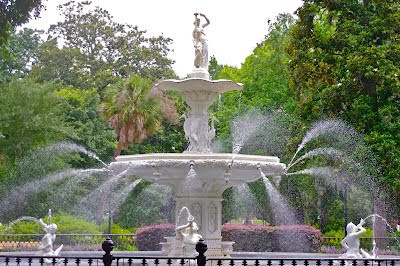 Reading up on Savannah, I quickly realized it was going to be to big for Jack and I to try and tackle on our own, so I signed us up for a two-day hop-on-hop-off trolley tour. 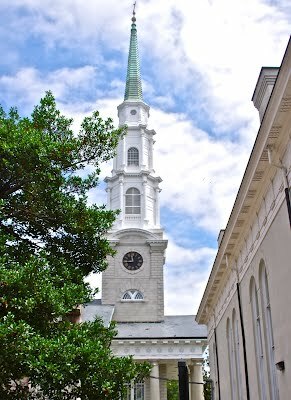 We did the 90 minute tour of the city first, to get the lay of the land, all the while, snapping away on my camera. Every block, every house, every building had a story! 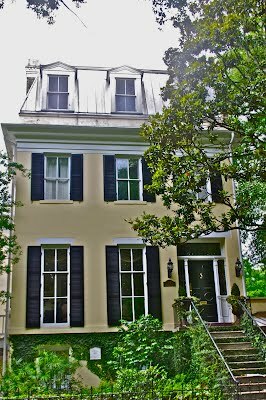 The Old Savannah Tour Company added "characters" to several stops to compliment their tour. 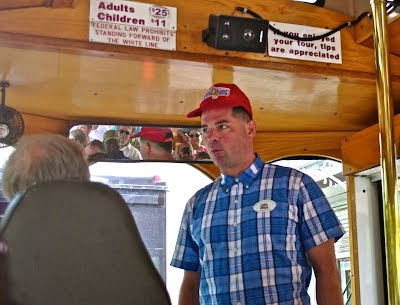 "Forest Gump" came aboard once looking for Lt Dan (that movie was filmed in Savannah), as well as a "Southern Lady" sharing what it was like to live in the 1800's. Of course the house where the book and film of the Midnight In The Garden Of Good & Evil was pointed out and referenced to whenever possible, as well. 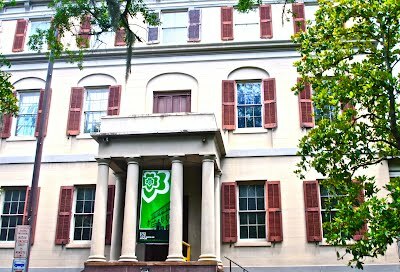 Poets, writers, and even the development of the Girl Scouts, all came out of Savannah. 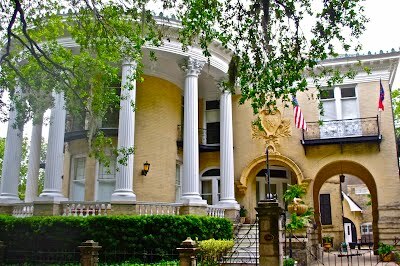 Savannah, and those of us who cherish the history and beauty of the old homes and buildings that the wealthy built in the 1800's, was very fortunate that a group of women organized one of the country's first and most successful urban restoration programs. 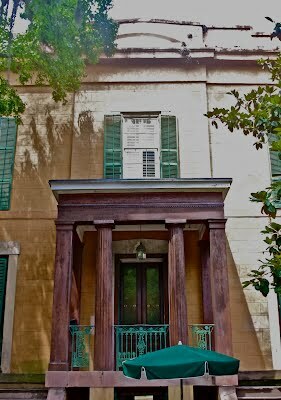 They called themselves the Historic Savannah Foundation, and they bought up hundreds of properties and sold them to private parties along with a covenant to restore and repair them. Because of them, 22 of Oglethorpe's original 24 squares survive. This sparked the cleanup of the river and the restoration of the warehouses and cotton brokerage offices along the city's historic riverfront. Instead of commerce associated with cotton trade buying and selling, these renovated 19th century buildings now house specialty shops, restaurants and nightspots.